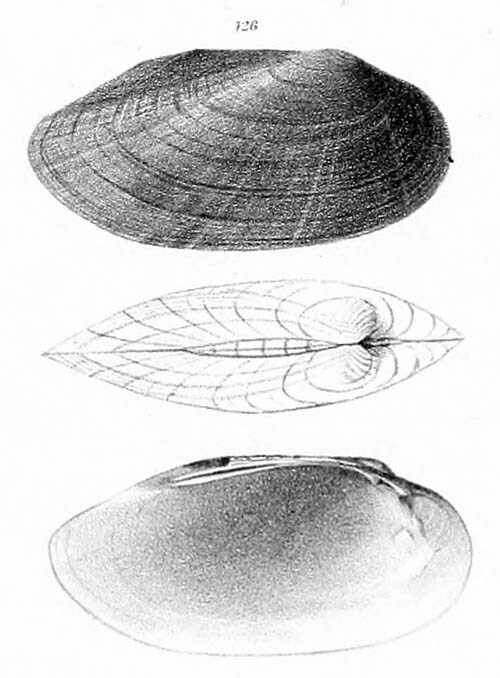 = Sagittunio subrostratus (Say, 1831). — Watters (2018). = Ligumia subrostrata (Say, 1831). — Williams et al. (2017). = Ligumia subrostrata (Say, 1831). — ITIS (2012). = Ligumia subrostrata (Say, 1831). — McMurray et al. (2012). = Ligumia subrostrata. — Haag (2012). 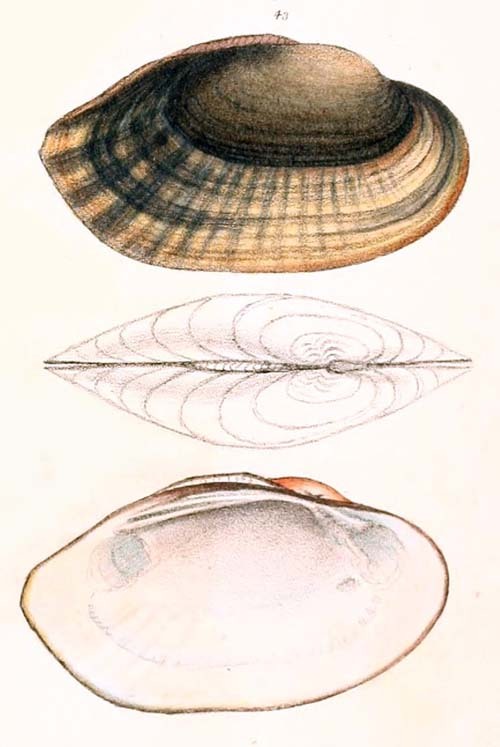 = Ligumia subrostrata Say, 1831. — Bogan (2010). = Ligumia subrostrata (Say, 1831). — Watters et al. (2009). 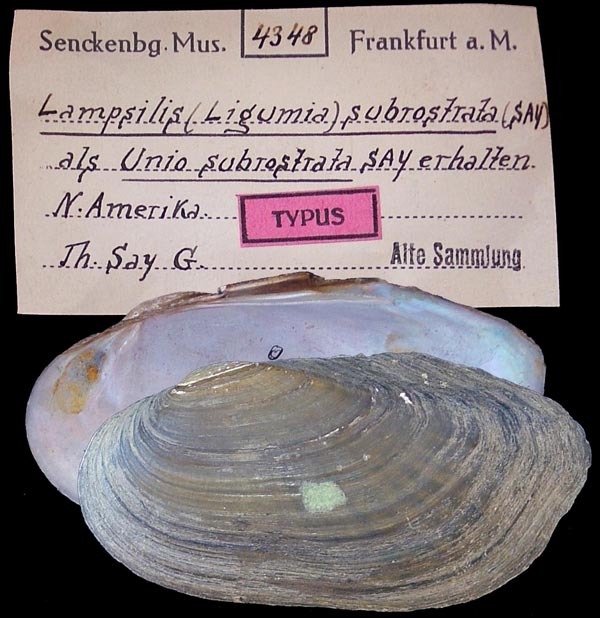 = Ligumia subrostrata (Say, 1831). — Williams et al. (2008). = Ligumia subrostrata (Say, 1831). — Graf & Cummings (2007). = Ligumia subrostrata (Say). — Jones et al. (2005). Lea, 1834, Trans. Amer. Phil. Soc. : 100, pl. 14, fig. 43. 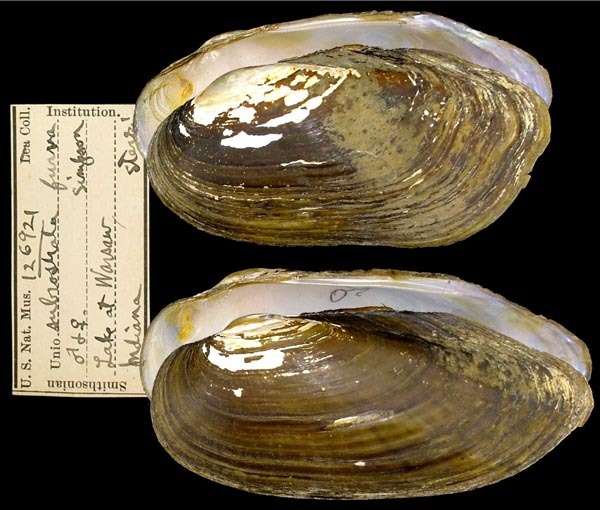 Type(s): HOLOTYPE USNM_85114, Nashville, Tenn.
Conrad, 1850, Jour. Acad. Nat. Sci. : 277, pl. 38, fig. 11. 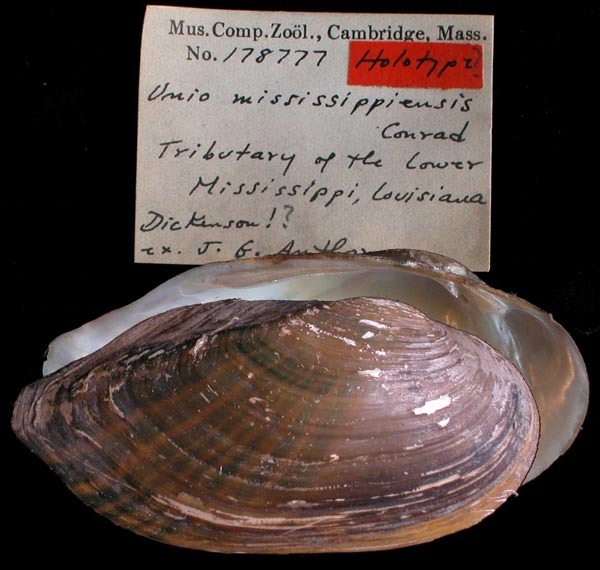 Type(s): HOLOTYPE MCZ_178777, Tributary of the Lower Mississippi, Louisiana. Agassiz, 1852, Arch. Naturg. : 44. Lea, 1870, Synopsis Fam. Naiades: 45. Ortmann, 1924, Amer. Midl. Nat. : 32. Lea, 1859, Proc. Acad. Nat. Sci. : 155. Lea, 1860, Jour. Acad. Nat. Sci. : 356 , pl. 60, fig. 181. 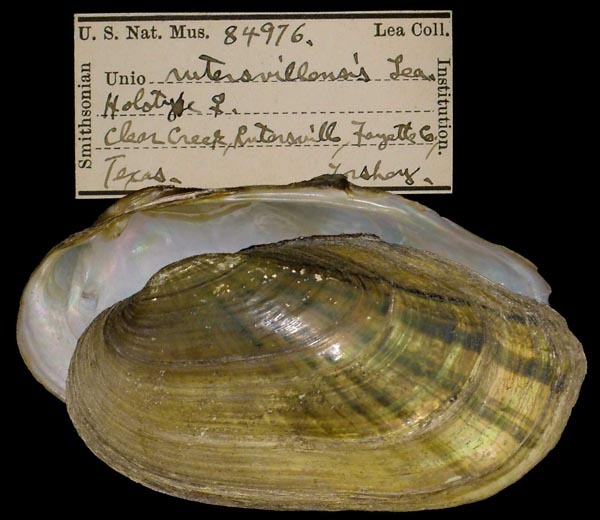 Type(s): HOLOTYPE USNM_84976, Clear Creek, Rutersville, Fayette Co., Texas. 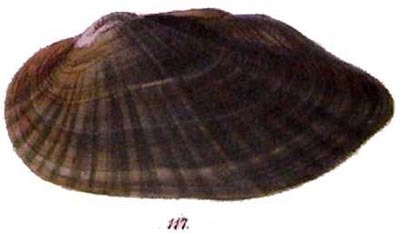 ‘Conrad’ Küster, 1861, Conchyl. Cab. : 245. 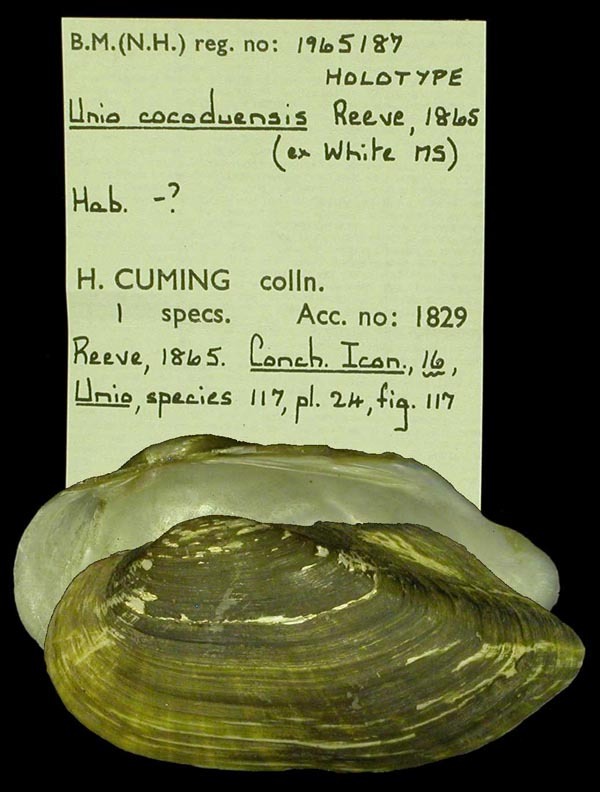 ‘White MS’ Reeve, 1865, Conch. Icon. : pl. 24, sp. 117. Lea, 1868, Proc. Acad. Nat. Sci. : 144. Lea, 1868, Jour. Acad. Nat. Sci. : 313 , pl. 49, fig. 126. 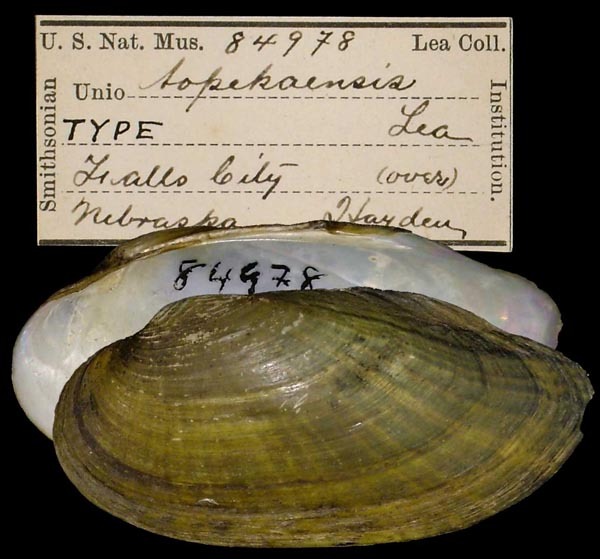 Type(s): HOLOTYPE USNM_84978, Falls City, Nebraska. 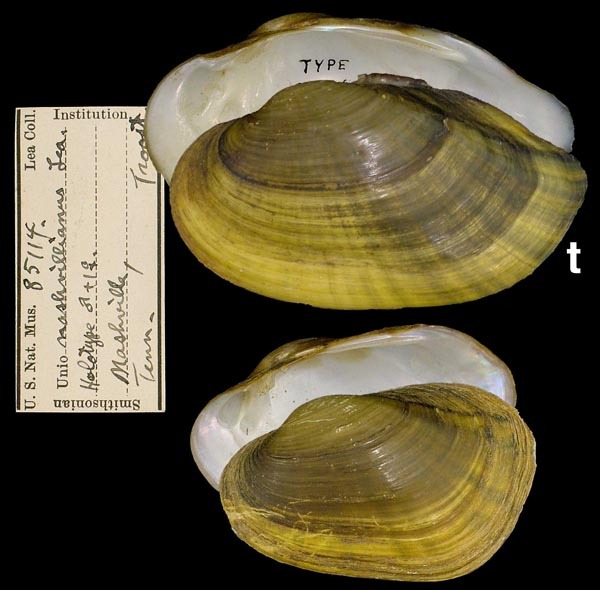 Margaron (Unio) nashvilliensis Simpson, 1900. ‘Lea’ Simpson, 1900, Proc. U.S. Nat. Mus. : 547. Lampsilis (Eurynia) subrostrata var. furva Simpson, 1914. Simpson, 1914, Descr. Cat. Naiades: 100. Type(s): LECTOTYPE USNM_126921 (selected by R.I. Johnson, 1975), Lake at Warsaw, Indiana. Utterback, 1916, Amer. Midl. Nat. : 438. Oesch, 1984, Missouri Naiades: 198.